I am passionate about designing beautiful bespoke wedding flowers that compliment the personalities of the bride and groom. Every bride is unique, so I love to design your wedding flowers to reflect your personality, style and theme. 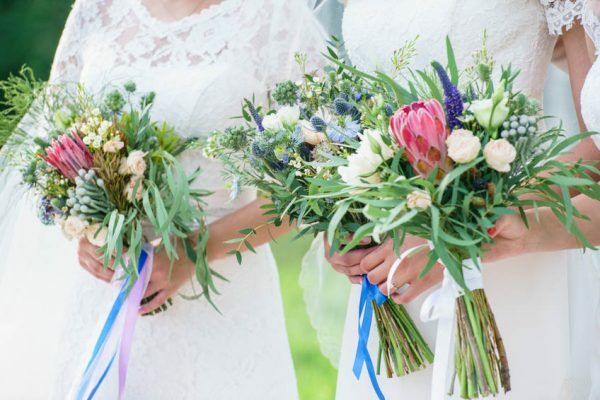 This portfolio of wedding flowers designs and prices helps you select the best flowers to suit your wedding style, theme and budget. 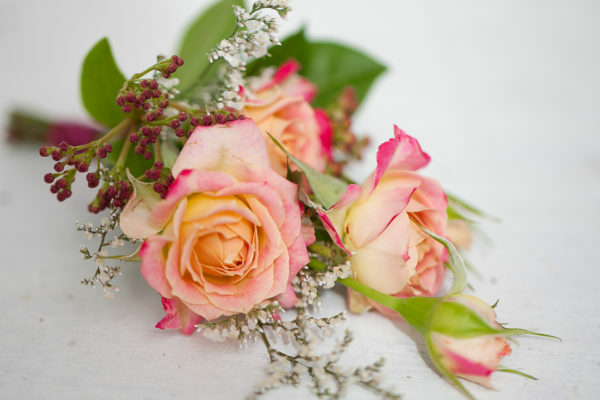 This is only to be used a guide as flower prices can vary throughout the year. Depending on the flower types, quantity and sizes of your floral arrangements , the below prices may change. I also have a range of inclusive wedding flower packages to make it easier for you to plan and budget for your wedding day. My Wedding flower guides are full of helpful advice and inspiration on choosing your wedding flowers. 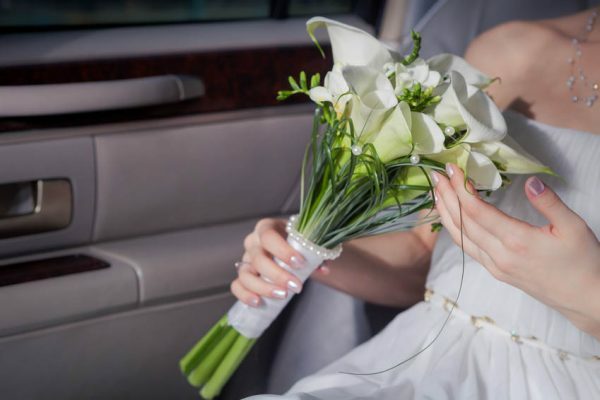 Your bridal bouquet is your statement floral accessory and the most photographed wedding floral item at your wedding. Every bride wants her bouquet to be as unique and individual as she is, which is why I love creating fully customised wedding bouquets. With so many styles of Bridal bouquets to choose from, I am happy to assist you in finding the perfect match to suit your personality, wedding dress style and wedding theme. While the bride's bouquet is the starting point for choosing personal flowers, all the other wedding florals should complement hers. 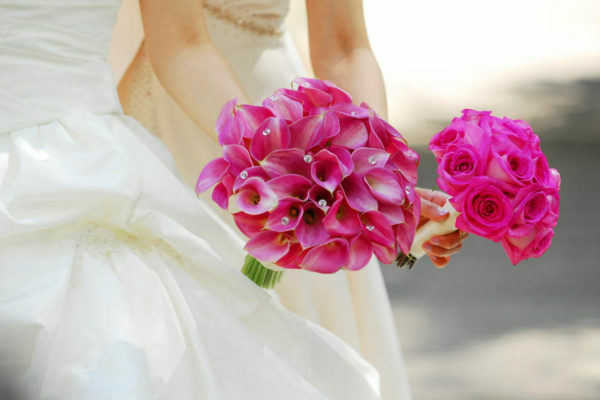 The bridesmaid bouquets are smaller versions but still match with the colour and shape of the bride's bouquet. 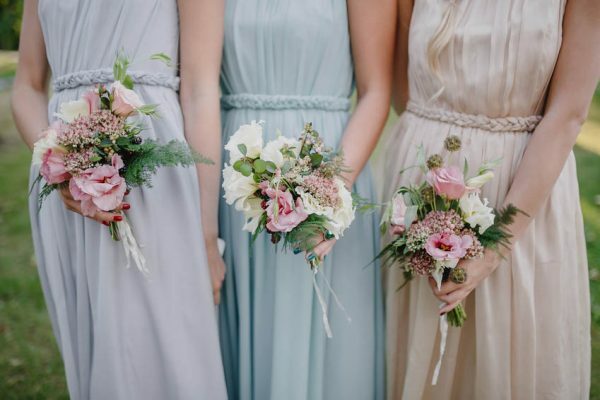 I design these bouquets with smaller blooms that complement the colour of the bridesmaid dresses. 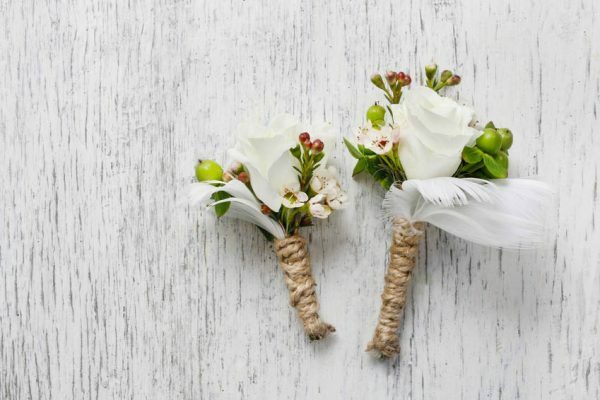 Flower girls can carry mini posy bouquets, that match the bridesmaid bouquet, a flower ball of open blooms suspended on a ribbon or a cute flower wand with ribbons. 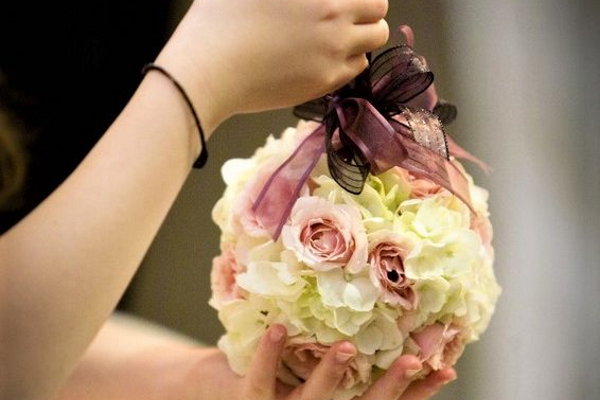 This gorgeous hanging ball of open flowers, is just perfect for little girls to carry. Prices: Floral balls from $95.00, flower wands from $55.00. These essential wedding floral accessories are tailor-made to suit your wedding style, colour palette and theme. 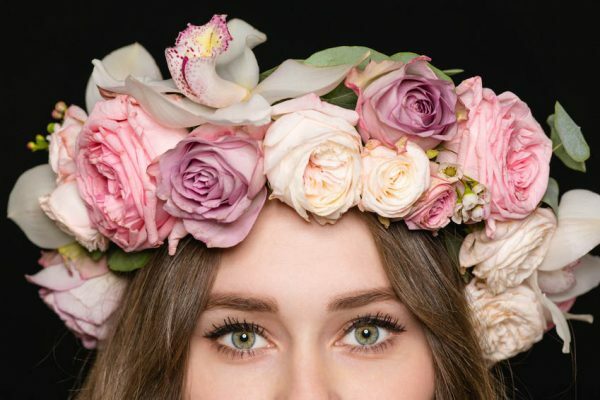 Trendy hair accessories from whimsical crowns of baby’s breath to pretty single blooms are a must-have wedding floral for vintage rustic weddings. Elegant floral accessory to complement your mother’s wedding outfit. Prices from $35.00 to $55.00. 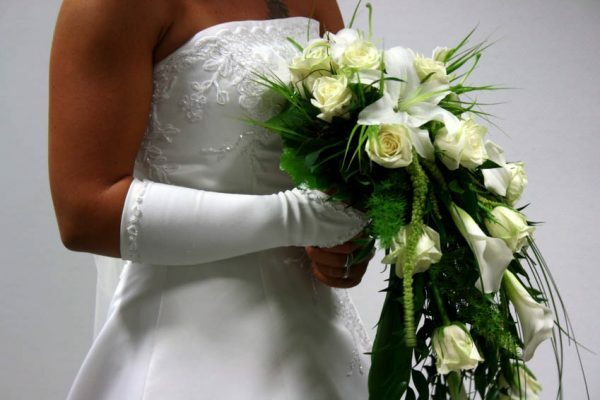 Your wedding flowers should compliment and enhance the style and setting of your wedding ceremony and reception venues. Popular features include a flower arch, church pew flowers, petals down the aisle or large urns of flowers. 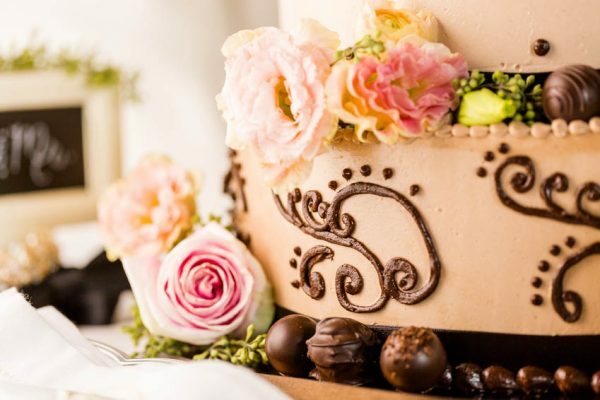 Fresh flowers add a touch of elegance and romance to your wedding cake and dessert tables. 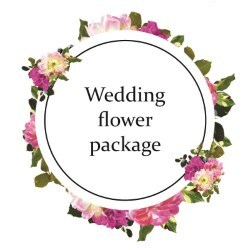 For more information and pricing , please see my Wedding Flower packages. 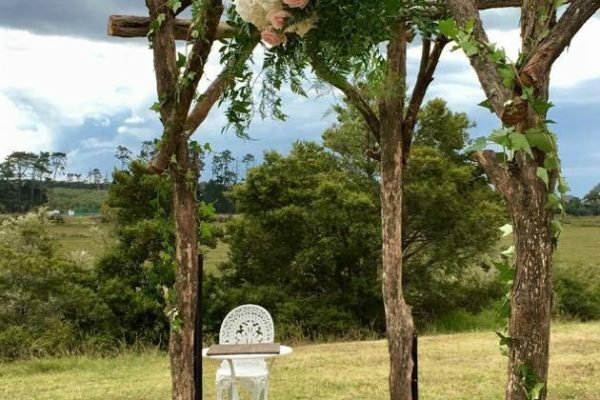 Wedding Flower Arch of beautiful blooms and lush greenery. Prices from $220.00 per corner/center item. 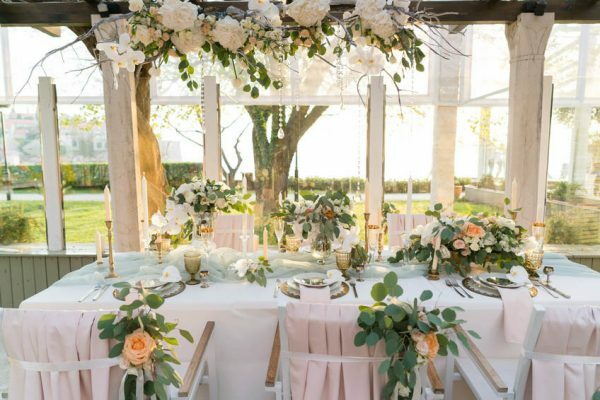 Creative wedding reception flowers guaranteed to make your reception truly spectacular. Please contact me for prices or see my Wedding flower Packages for more information. 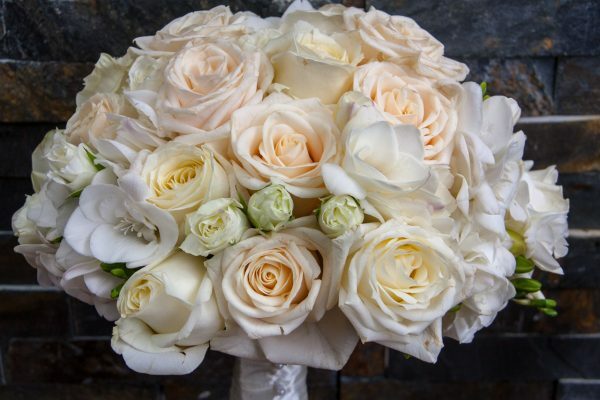 Fresh wedding cake flowers will add the finishing touch to your cake. Prices from $65.00.